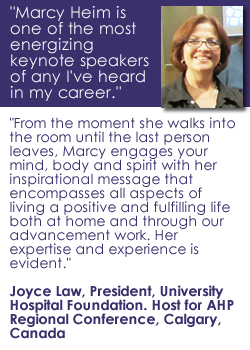 Be the person you want to be with! Want different fruit- look at the roots? You are a Gift! I appreciate you. Be More Confident! 10 Habits to Drop Now! How will I get it all done? Get in the zone! 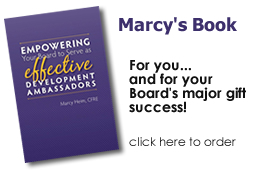 Sign up to receive a free chapter from Marcy's book, Empower Your Board to Serve as Effective Development Ambassadors and her monthly ezine full of tips and inspiration to help you and your organization. 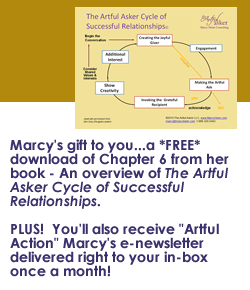 Copyright © 2012 The Artful Asker LLC. All rights reserved.